Yuneec has expanded its commercial drone payload offerings with the new E10T, an advanced thermal camera suitable for a range of applications. 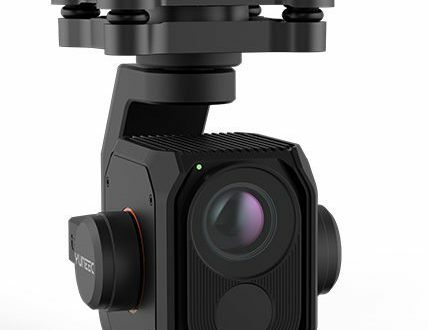 The E10T is a three-axis gimbal, dual thermal imaging and low light camera that Yuneec is making available in two versions: 320 by 256-pixel or 640 by 512-pixel thermal resolution. Each version comes with different lens options. Designed to work with the Yuneec H520 drone, the E10T will be sold separately and available later this year starting at $4,999. The E10T builds upon the foundations of the CGO-ET dual thermal RGB camera, launched last year by the Chinese manufacturer. The E10T camera takes higher-quality pictures and detects more detail in dark scenes than the naked eye thanks to its large RGB sensor. Using the dual video stream, users can transmit their thermal and video image simultaneously to the ground station and view the image as an overlay or picture-in-picture. “The E10T is the next evolution of the industry’s first thermal and low light RGB combination and will provide commercial users confidence in an array of situations,” said Michael Jiang, CEO, Yuneec International. The H520 hexacopter was developed for inspection, safety and search & rescue applications. 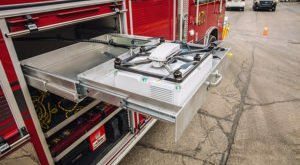 Yuneec are hoping the addition of the E10T will make it a more compelling proposition for emergency services, firefighters, police and inspection crews. The E10T will be available later this year in four lens configurations for the two resolution options. The 320-pixel thermal resolution will start at $4,999, while the 640-pixel thermal resolution will start at $7,999.